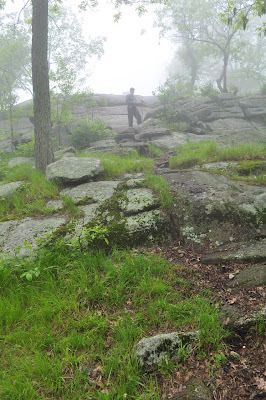 Stockbridge Mountain is one of the lesser-traveled areas of Harriman. This hike is a little-known yet beatiful hike. 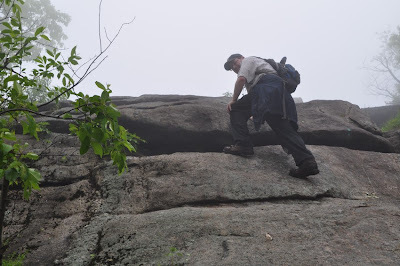 The weather condition was very foggy which really restricted any views. 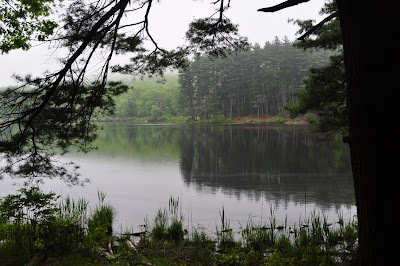 We started in the Silvermine parking area off 7 Lakes Drive, and took the Menomine trail west. Near the beginning of the hike the trail is parallel to the road, and for the first time after being here many times actually noticed an old cemetary that the trail passes right through. There are some restore plaques stating that members of the Lewis Family are buried here. Continued along the trail alongside Lake Nawahunta, and started the ascent up Stockbridge Mountain until the intersection with the Appalachian Trail. Headed north on the Appalachian and up the shelter, and then started descending to the "Cave Shelter". 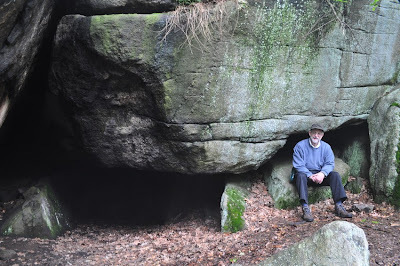 The Cave Shelter is a rock formation of massive boulders that are stacked and forming caves and passageways that you can actually squeeze through quite deeply. Its a highly recommended place to check out. From the Cave Shelter took the unmarked trail which is shown on the Trail Conference Map, though I must say this trail is pretty worn out and hard to keep track of. 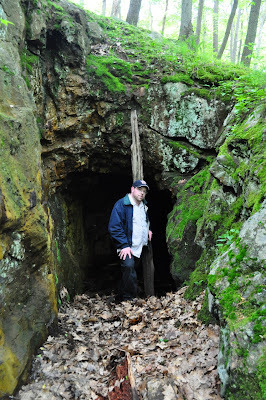 After hitting the Menomine Trail again we continued the descent, and at the bottom veered off the path to check out the Lewis (Dunn) Mine and explore the pit. From there headed back on the Menomine and back to the car. Plaque at the Lewis Cemetery along the Menomine Trail. 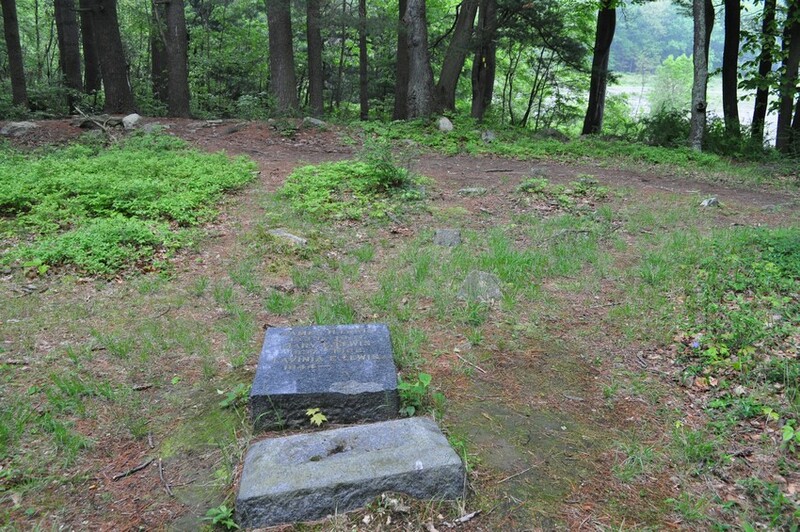 Note this cemetery is not mentioned on the maps. 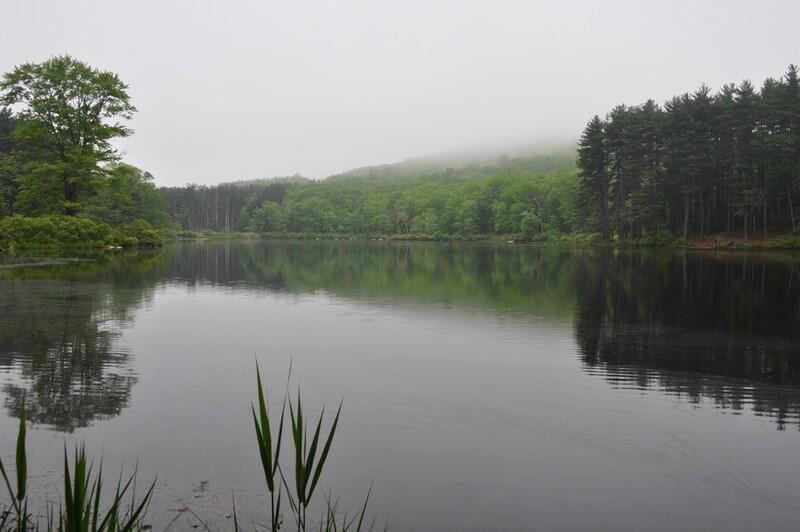 Lake Nawahunta in the fog. North shore. rises from behind but is covered in the fog. 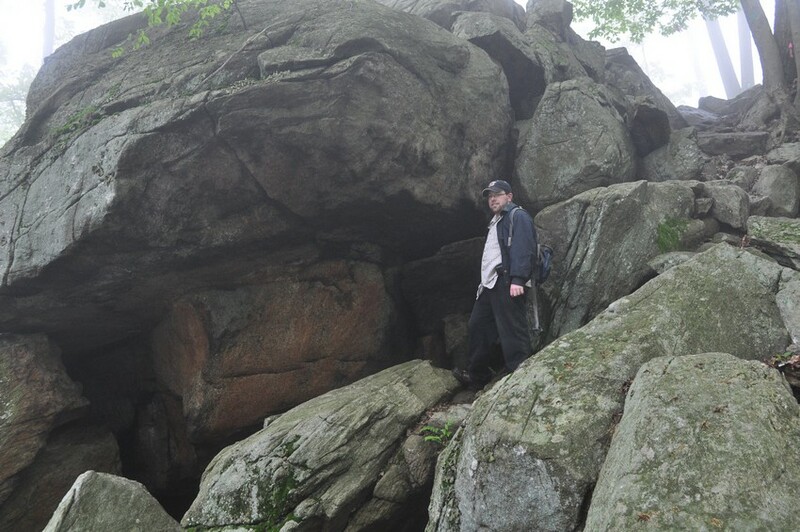 Me at the final ascent before the shelter. The fog was even more thick at the top. Rock Formations at the Cave Shelter. One of the exits at the Cave Shelter. 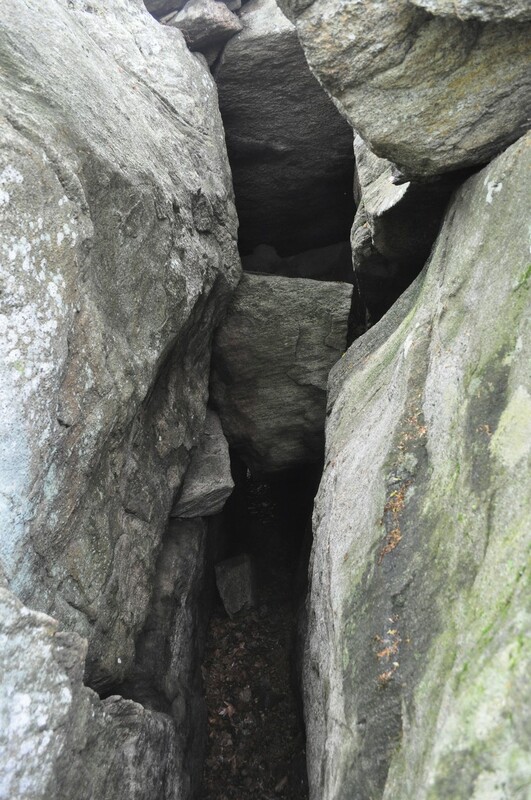 I crawled out from under the left, barely making it through. Main shaft of the Lewis (Dunn) Mine. 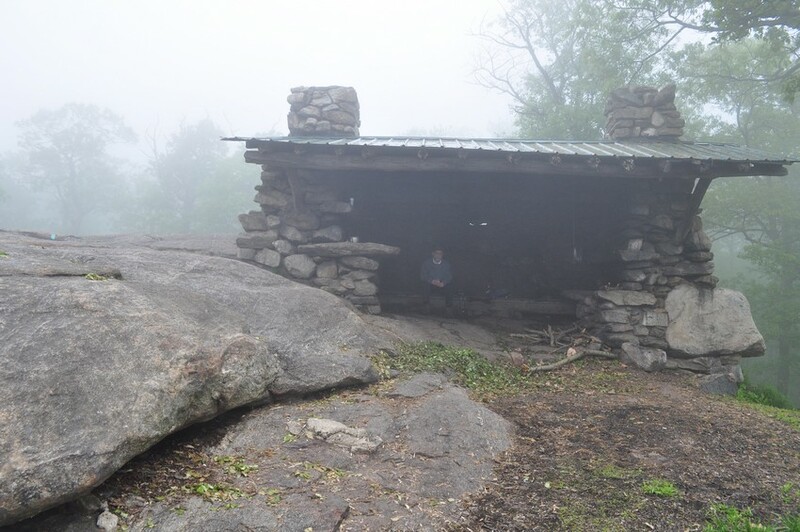 When I hiked to this shelter in 2013 what you are calling the white blazed Appalachian Trail was really the aqua blazed Long Path. 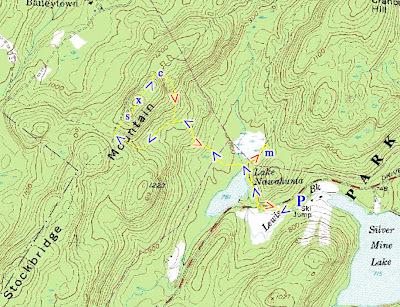 When did you make this hike? This hike was on May 22, 2011. 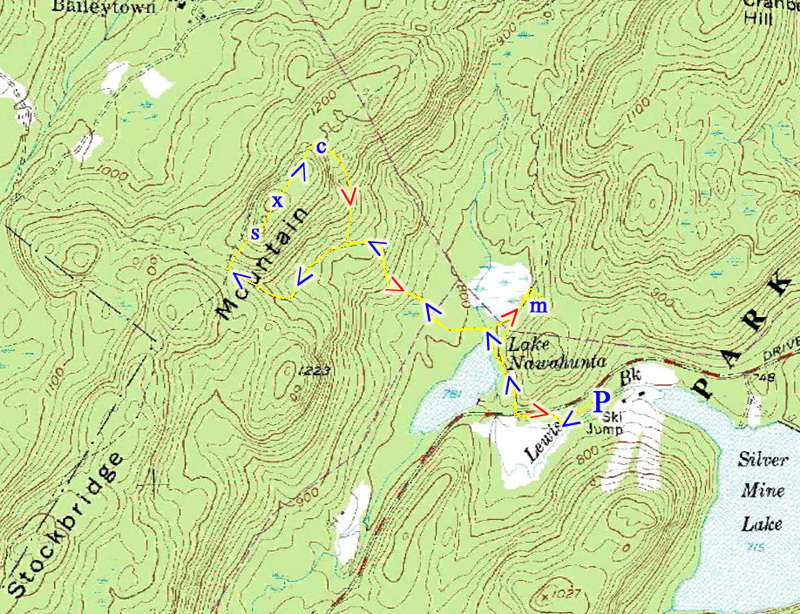 On older trail maps the Appalachian and Long Path were rerouted. I don't know the actual year when they changed them to present configuration - but its been this way for probably more then 10 years now. Hiked there yesterday, February 19, 2017 and that is the Aqua-blazed Long Path. Beautiful area and great hike.